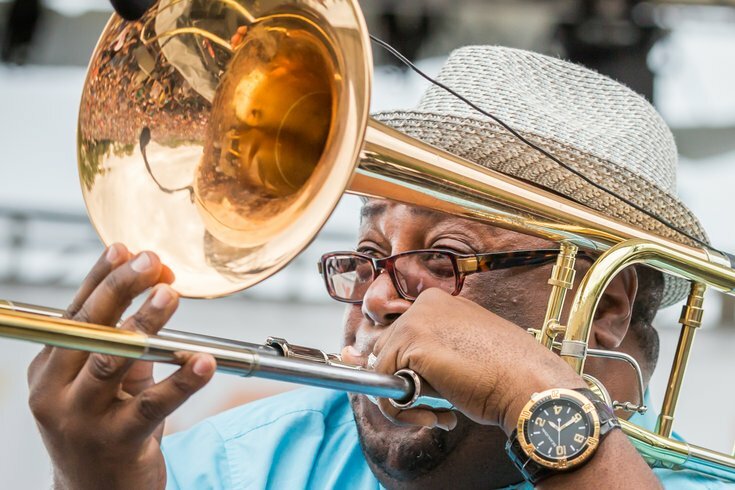 Ronell Johnson of the Preservation Hall Jazz Band performs before an enthusiastic crowd at the 2017 XPoNential Music Festival. 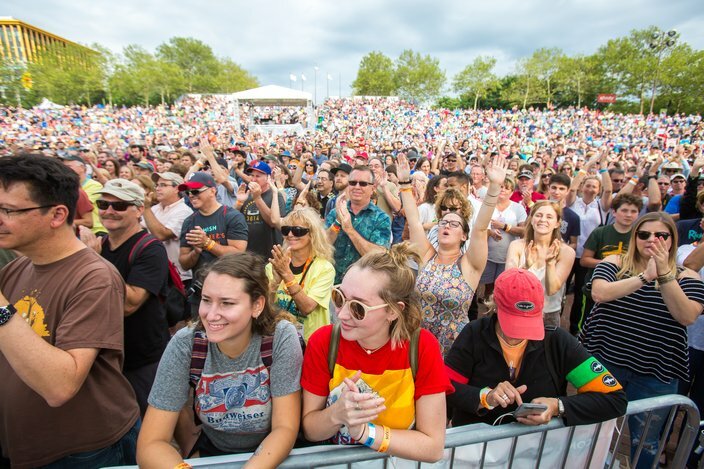 The 2017 XPoNential Music Festival jam-packed three stages across two venues on the waterfront in Camden, N.J., from Friday, July 28 through Sunday, July 30, and brought dozens of bands to Philly and South Jersey fans. 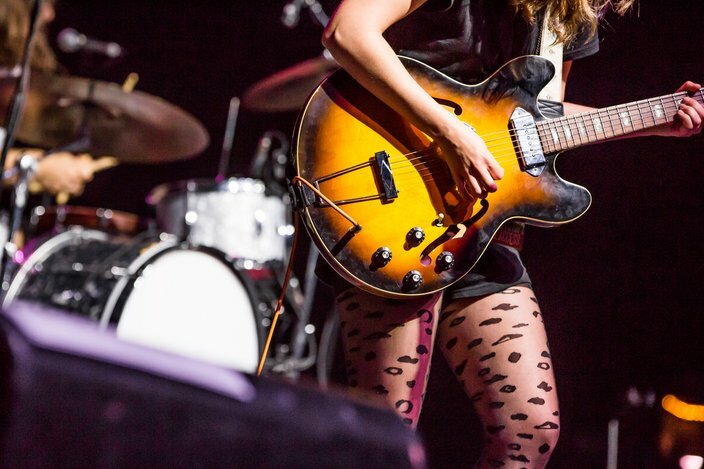 The annual music festival hosted by local radio station 88.5 WXPN brought in headliners like Wilco, Conor Oberst, Spoon, and the Drive-By Truckers, while many hometown-favorites were also on the bill: Amos Lee, (joined on stage by the energetic New Orleans-based Preservation Hall Jazz Band), and other locals like Hop Along, Pinegrove, Hardwork Movement and No Good Sister were no strangers to the many WXPN listeners in attendance. 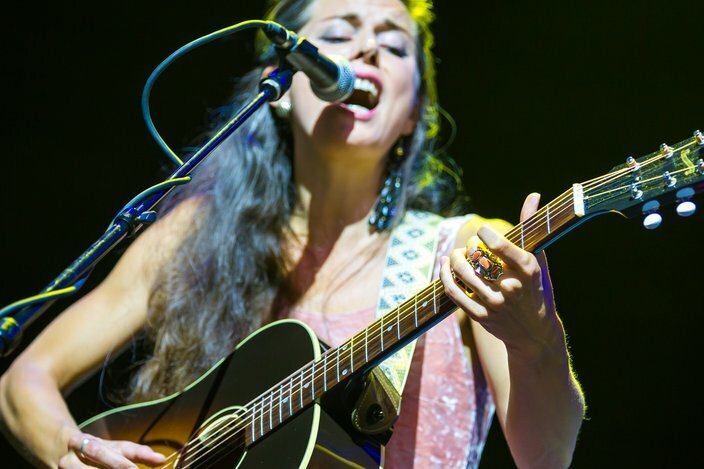 Below is a series of images from Friday and Saturday of the 2017 XPoNential Music Festival. 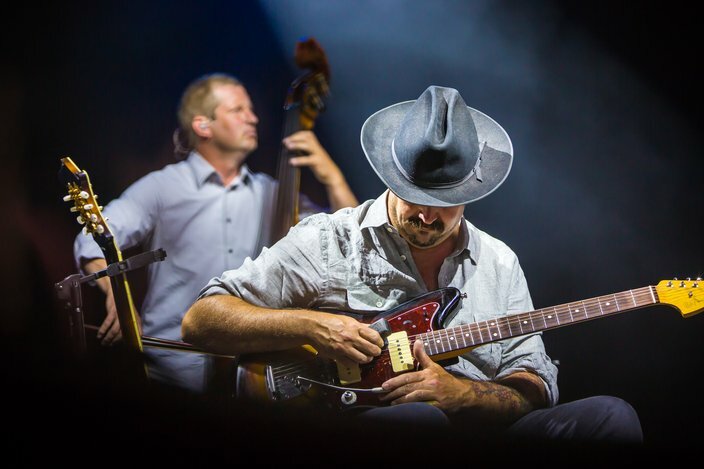 The Decemberists' Chris Funk plays guitar on stage with English folk singer Olivia Chaney as “Offa Rex,” during the first night of performances at the 2017 XPoNential Music Festival. 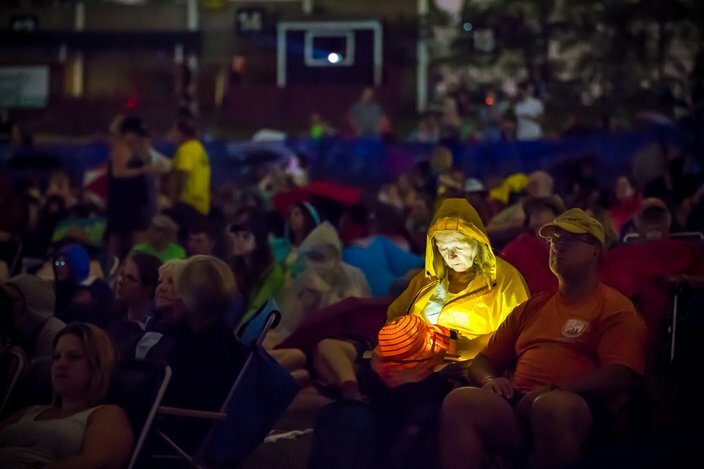 Despite a threat of severe storms on Friday and Saturday, no more than a sprinkle of rain fell on the crowd over the weekend. 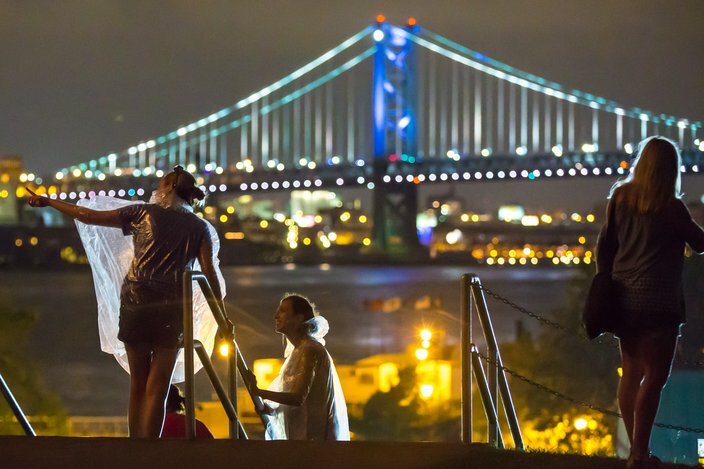 Festival-goers in rain ponchos walk around the BB&T Pavilion in Camden, NJ, located across the Delaware River from the Philadelphia waterfront and Ben Franklin Bridge. 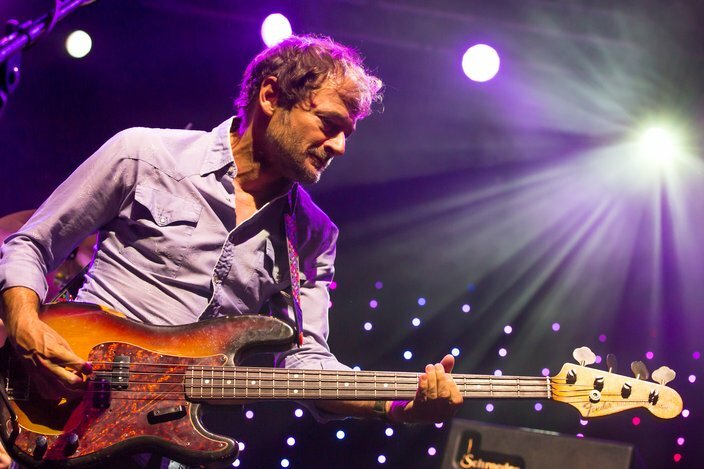 Wilco's John Stirratt plays the bass guitar during the band's headlining set on Friday night of the 2017 XPoNential Music Festival. 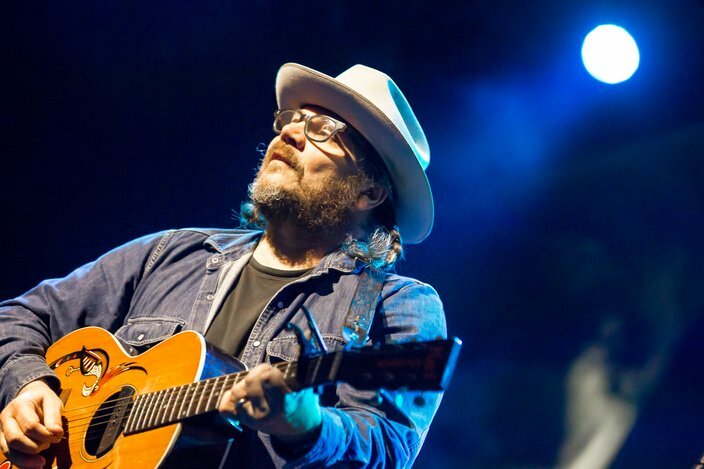 Jeff Tweedy of Wilco performs at the BB&T Pavilion in Camden, NJ, on Friday night of the 2017 XPoNential Music Festival. 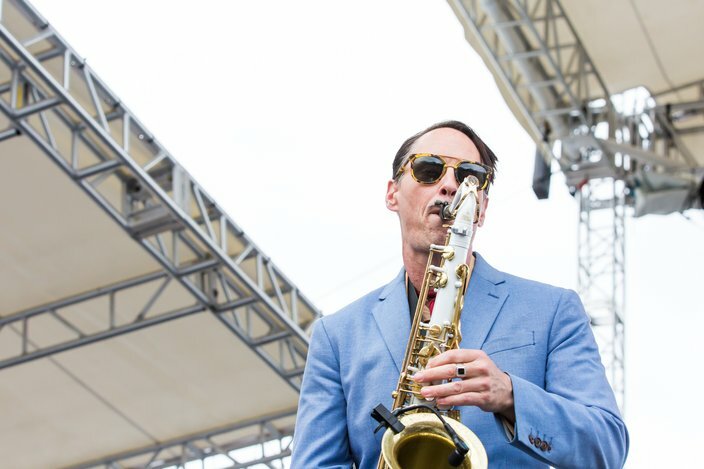 Chris Maedgen of the New Orleans-based Preservation Hall Jazz Band performs on the River Stage at the 2017 XPoNential Music Festival. 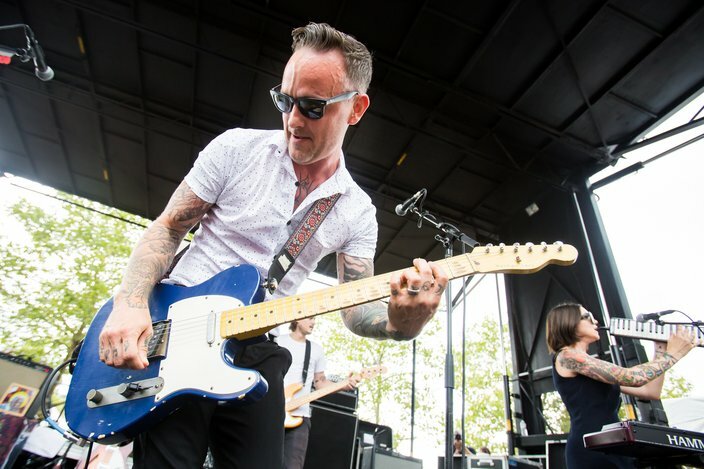 Dave Hause of “Dave Hause & The Mermaid” played the Marina Stage Saturday at Wiggins Park in Camden, NJ. 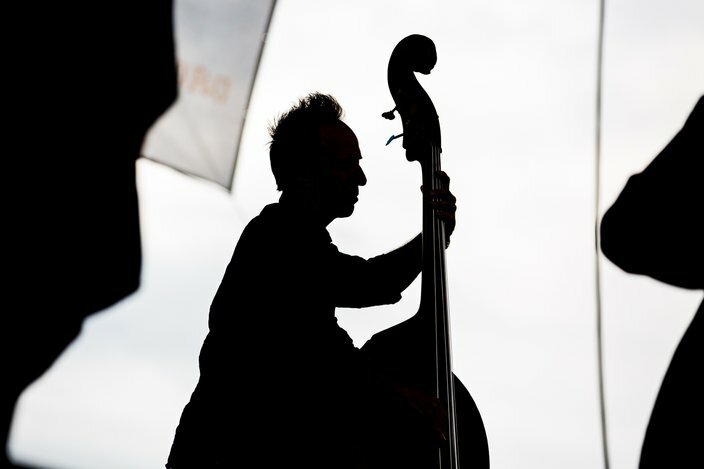 An upright bassist plays with Rhiannon Giddens on the River Stage, Saturday, July 29, 2017, at the XPoNential Music Festival. An enthusiastic crowd cheers during Rhiannon Giddens' set at Wiggins Park in Camden, NJ, for the 2017 XPoNential Music Festival. 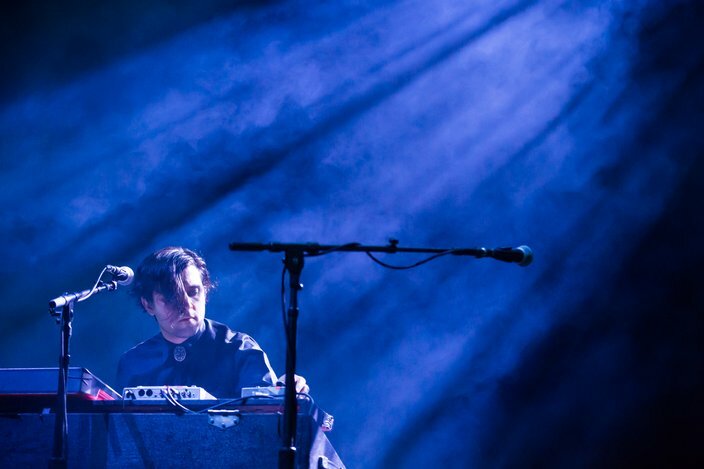 Alex Fischel and the Austin, Texas band Spoon performed on Saturday at the BB&T Pavilion in Camden, NJ. 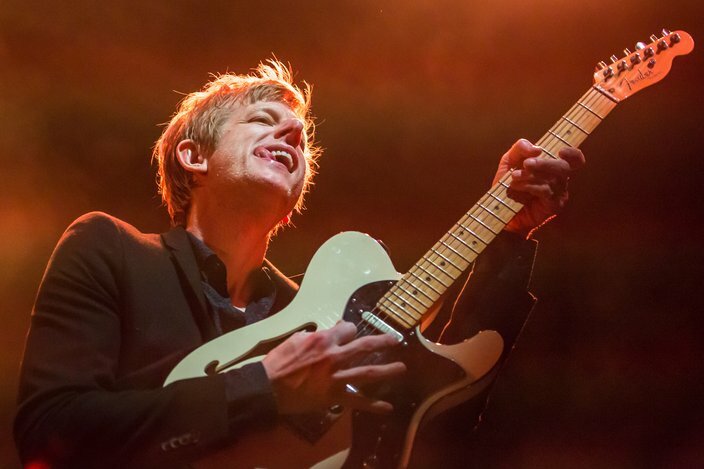 Spoon frontman Britt Daniel, plays the BB&T Pavilion at the 2017 XPoNential Music Fest. 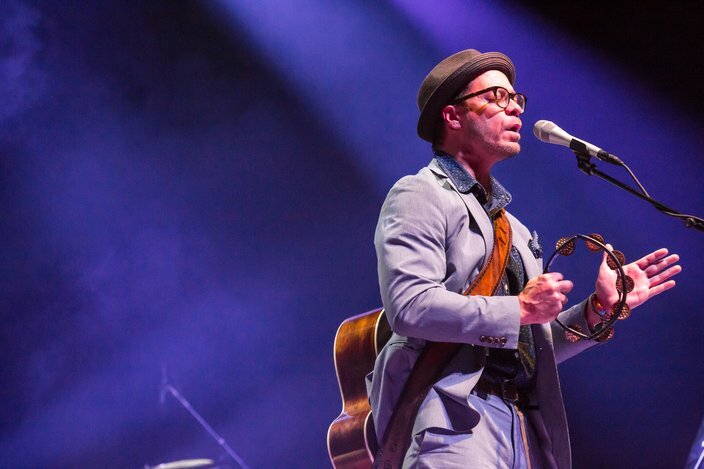 Philly-favorite, Amos Lee, headlined Saturday night at the BB&T Pavilion and was joined by the Preservation Hall Jazz Band.